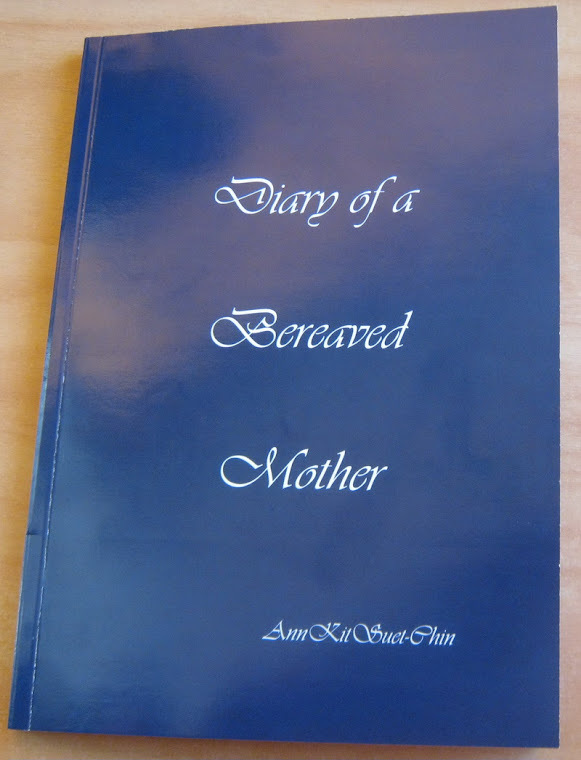 Diary of a bereaved mother, 丧儿记,: 丧失儿子的母亲的一本传记: Sands, A Little Life, Not a Little Loss. My first book was my journey. Oh! my baby died too. My arms went out to her. I showed her my 2 Sands Wrist bands. It says: Sands, A Little Life, Not a Little Loss. I made a special friend today. Some ask me what I am wearing them for. I tell them that it is ok to grieve. Don't tell a Grieving parent to move on before they are ready.